Summer is waning here in Alaska. In Fairbanks, tundra breeding birds are being seen in fields and overhead. Particularly the Sandhill Cranes make themselves known with their raucous and odd cries. Kassie and I wanted to experience the tundra and birds before they leave for the year. In the recent style of my blogs, I’ll open up with the video of the trip. It captures the beauty of constant scenery, the curiosity of a fox, the detail of small birds, and the disparity of millions of mosquitoes. If you have questions about the ID of anything in the video keep reading, they’ll be discussed further below! On the topic of mosquitoes, I might as well put to rest any thoughts you have of “I’ve seen mosquitoes because I have lived in Maine or Minnesota”. I thought I was prepared for the bugs based on my living in those areas. Nothing could have prepared me for the swarms of bugs. They are tolerable in a breeze, but nearly impossible to deal with when the breeze disappears. Any knee high bush in the tundra contained hundreds of the small buzzards which well up in the eddies of the wind created by your body. The lee of your body allows mosquitoes and black flies to fly into your eyes, nose, ears and mouth. They are vicious and aim for your hairline, temples and hands. North of the Brooks Range we happened across this Red Fox. Incredibly, it gave little notice to the two gaping humans in the truck and went about his business of marking his territory and hunting. The Red Fox and Arctic Fox overlap in range north of the Brooks Range. If they encounter each other the larger and stronger Red Fox will chase off or kill the Arctic Fox. Fox are able to hunt even in the snow and many film clips show them diving for prey (e.g. BBC’s “Life”). It’s possible that Red Fox can align themselves to the magnetic field before the pounce, and that it enables them to successfully hunt prey. I’m just the messenger on this one – I have no idea how that works! Four species of loons occur just north of the Brooks Range. They are the Pacific, Red-Throated, Arctic, and Yellow-billed Loons. These loons raise their chicks in the many pot-holes of the tundra before migrating to Russia, or further south on the coast. We were fortunate enough to see two of these species! 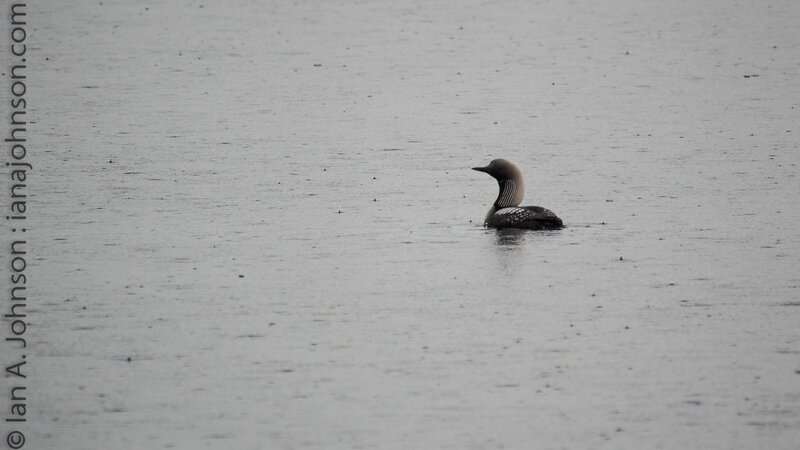 The Pacific Loon swam towards us in a small pond along the Dalton. It called in a croaking voice – it seems to have a much different voice than the Common Loons we are used to. The Red-throated loon was much more nervous as it was protecting a chick. A red-throated loon watches me catiously – it had at least one chick to protect on the lake. As we drove south of Atigun Pass watching the climaxing sunset, Kassie scared me by suddenly exclaiming, “STOP! MOON!”. I looked up, and in the same motion pulled my vehicle to the shoulder of the road and dropped my jaw. The large super-moon which is bigger, brighter and ‘better’ than the ordinary moon because it is closer to the earth, emerged over the mountains. It was framed by the last pieces of the sunset and perched in the valley of the peaks. I declared an emergency photographic opportunity and set up my camera, snapping a few stills before timelapsing its quickly moving path. What an incredible experience! We were driving down the Dalton Highway when Kassie exclaimed “STOP!, MOON!”. 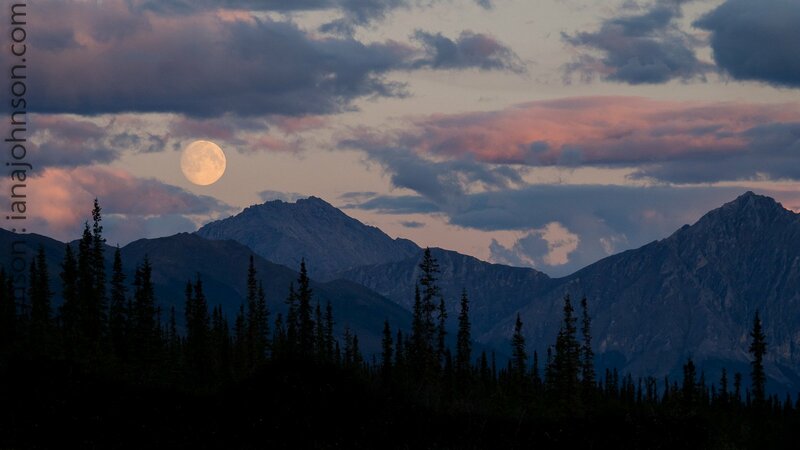 The “supermoon” rising over the mountains was one of the most incredible moonrises we had ever seen! 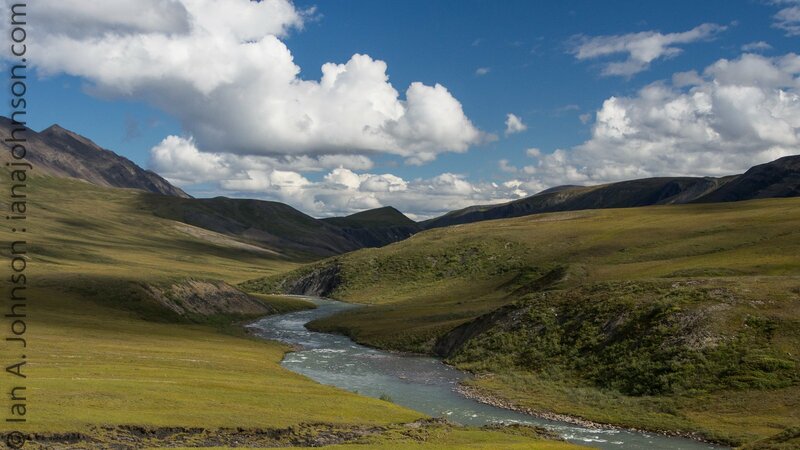 Of course, there are lots of things to see along the Dalton Highway. The pictures below help capture the surrounding beauty and wildlife. I’ve included information in their captions, thanks for reading! 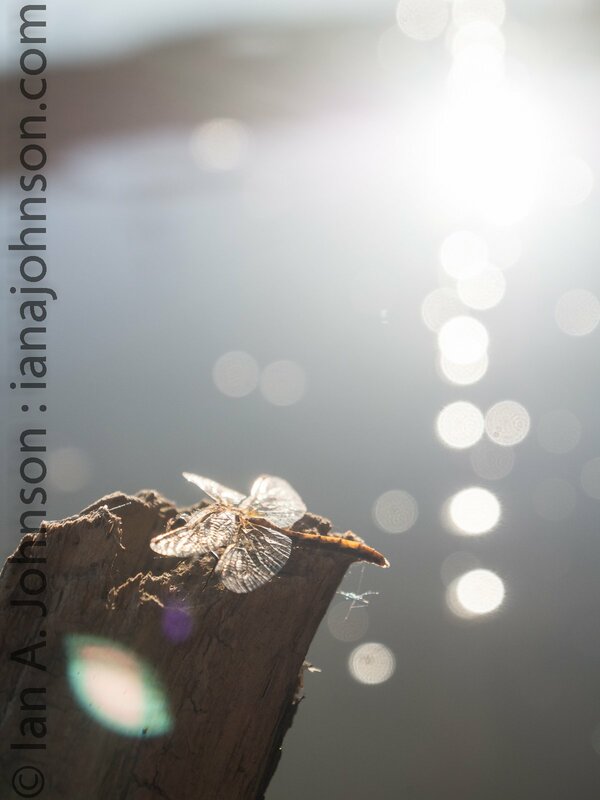 This dragonfly posed along the Yukon River in the sunlight. I hope it ate many mosquitoes! 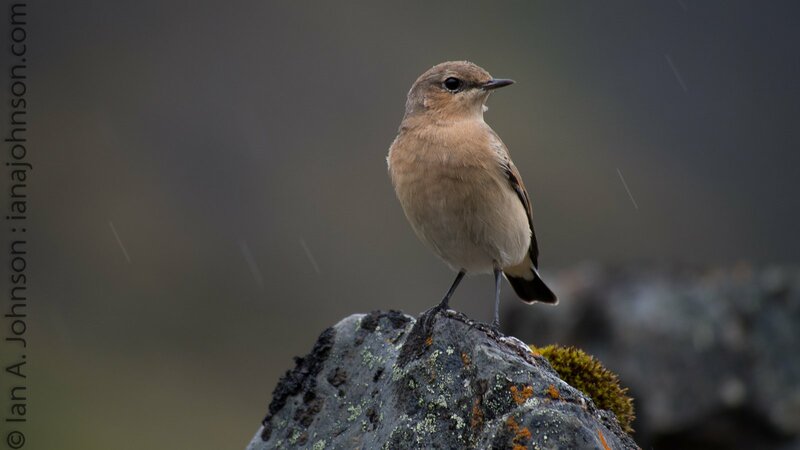 A female Northern Wheatear eyes me up while the rain falls in the background. 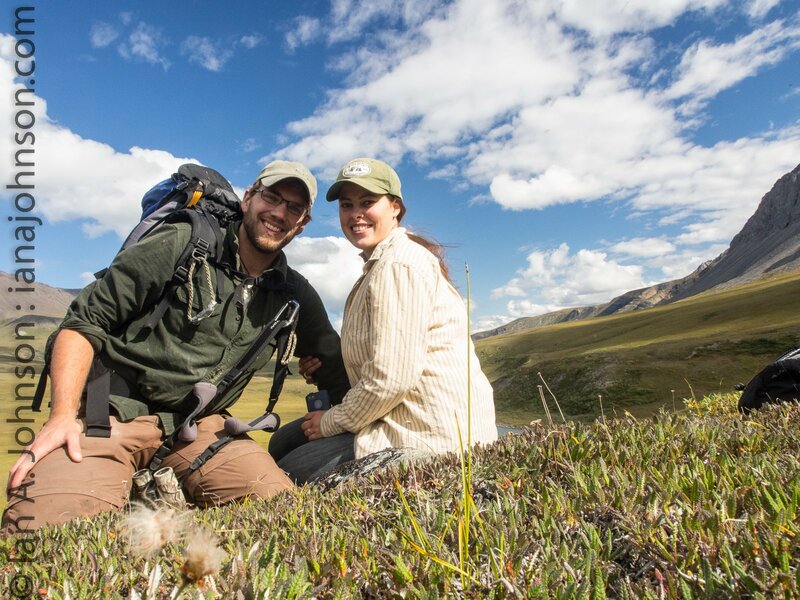 These birds were elusive on Wickersham Dome, but weren’t afraid to pose here! Tundra birds are notoriously fearless because they are not used to people. It is likely this bird will migrate to Eurasia or North Africa! 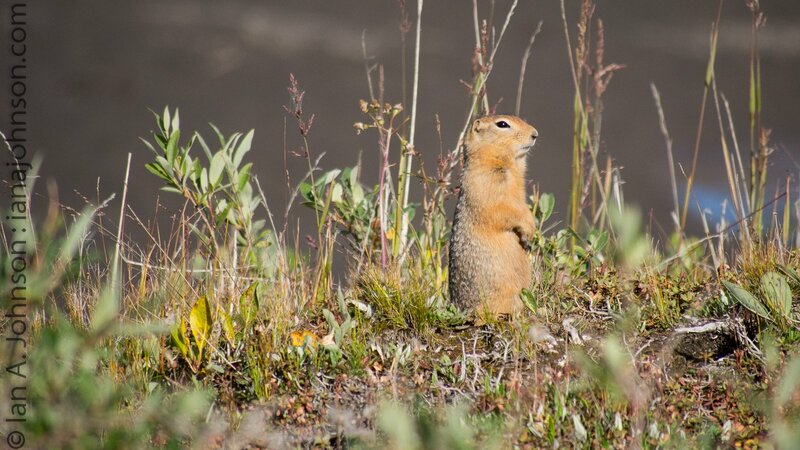 Arctic ground squirrels actually freeze during the winters. They preserve enough ‘brown fat’ to wake up once a month. Their body warms up, the become conscious, and then they fall back to sleep. Researchers think they wake up to preserve memories – amaaaaazing! A river runs all the way up Atigun Gorge. The gorge is walled on each side funneling the river to an unknown end. Kassie and I took a break on a large bluff before heading further up Atigun Gorge. What a day! Another breeding season comes to an end. 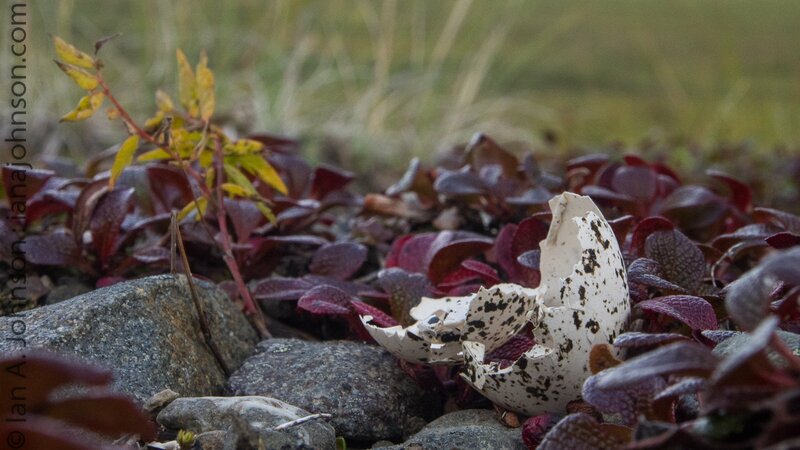 This eggshell is from an unknown species, but is quite beautiful in the bearberry! 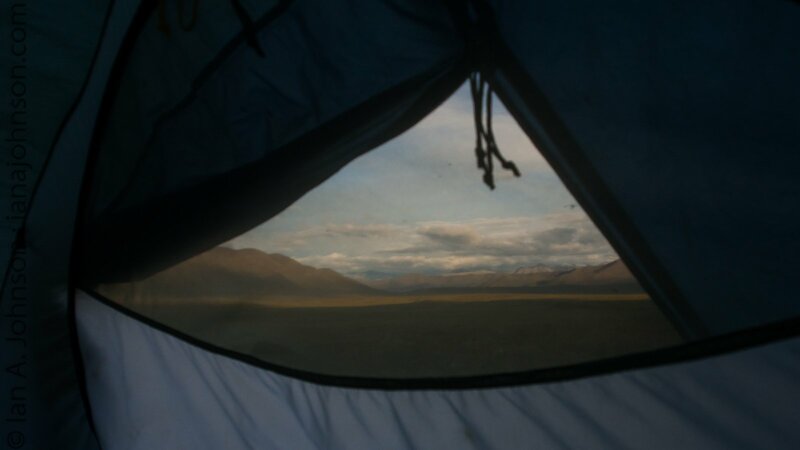 In the shelter of our tent we could still enjoy the sunset over the foothills north of the Brooks Range. It was pretty amazing! 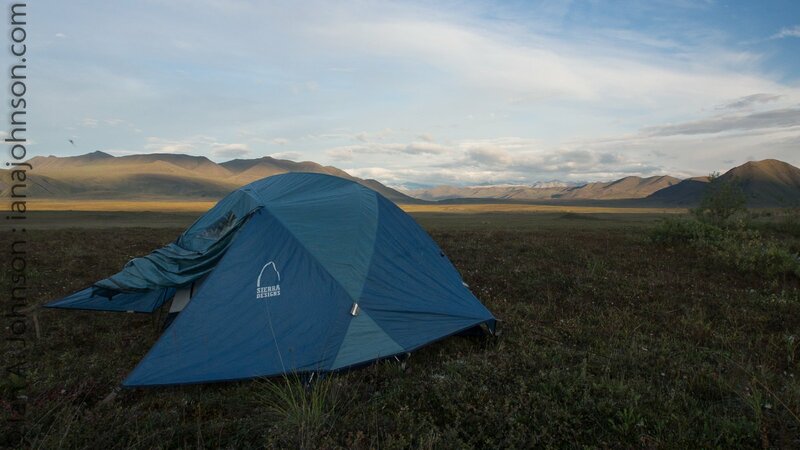 Camping on the high tundra is pretty comfortable! Like a mattress.